Product #15705 | SKU PD12020 | 0.0 (no ratings yet) Thanks for your rating! 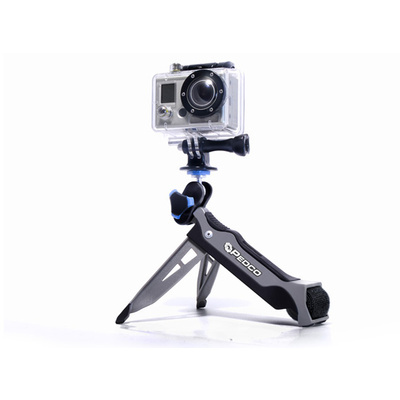 Ultralight, ultra-compact, ultra-versatile tripod for extreme sports photographers and travellers on the go. 33 cm PowerStrap™ mounting system allows cameras to be easily mounted on large posts, roll bars, ski poles, tree limbs, etc. Single control knob offers complete 360° ball-mount adjustability. Rugged polycarbonate housing holds cameras up to 0.5 kg.